When it comes to a stubble trimmer for your hair, beard, and moustache, it is important to find one that will best suit your needs and wants. From chest hair to sideburns, many trends tend to come and go. However, stubble seems to be a grooming trend that is going to stick around for a while. As facial hair trends change, you want to be sure you have a trimmer that is flexible with adjustments that will always be suitable for your needs. You want the battery life to last through the entire session and be powerful enough to get the job done. 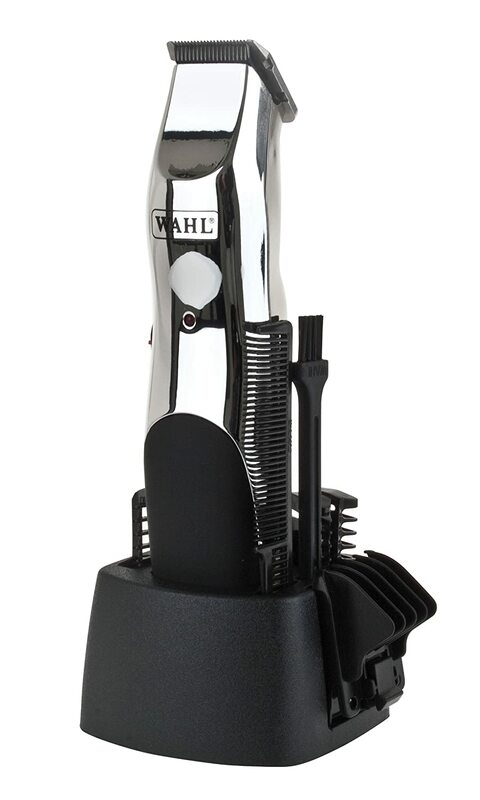 One product to consider is the Wahl Groomsman Rechargeable Hair, Beard, and Moustache Trimmer Set. The Wahl Groomsman Rechargeable Hair, Beard, and Moustache Trimmer Set is an overall trimmer that is specially designed for many types of facial and body hair. It is also great for sideburns and hair around the neckline. It offers a soft touch grip that provides comfort and style. This affordable trimmer is convenient, functional, and delivers satisfactory results to most of its users. The Wahl Groomsman Rechargeable Hair, Beard, and Moustache Trimmer has a somewhat loud motor. This noise can create a loud trimming session. The motor seems to be powerful, but not powerful enough to maintain a strong speed for those with extremely dense hair. Therefore, if you have dense hair or patches of dense hair, it may end up pulling it rather than cutting it. This leaves room for irritation to occur. When comparing the pros and the cons of the Wahl Groomsman Rechargeable Hair, Beard, and Moustache Trimmer, this entire set seems to be a good buy. It provides durability, comfort, and convenience. The trimming set is also offered at a great price that consumers on any budget can afford.